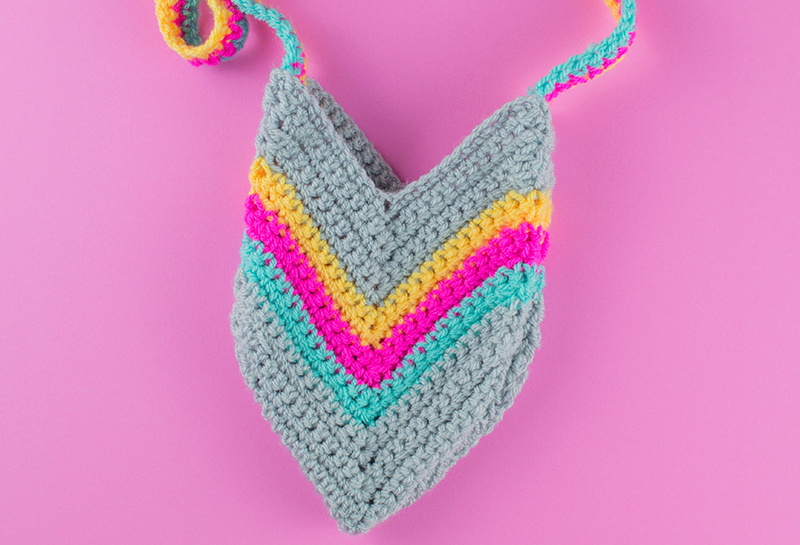 I’ve mentioned before that I use Bella Coco YouTube channel a lot for crochet patterns, I find her so easy to follow and love the things she makes so when I saw her upload a new chevron crochet tutorial the other day I gave it a go. 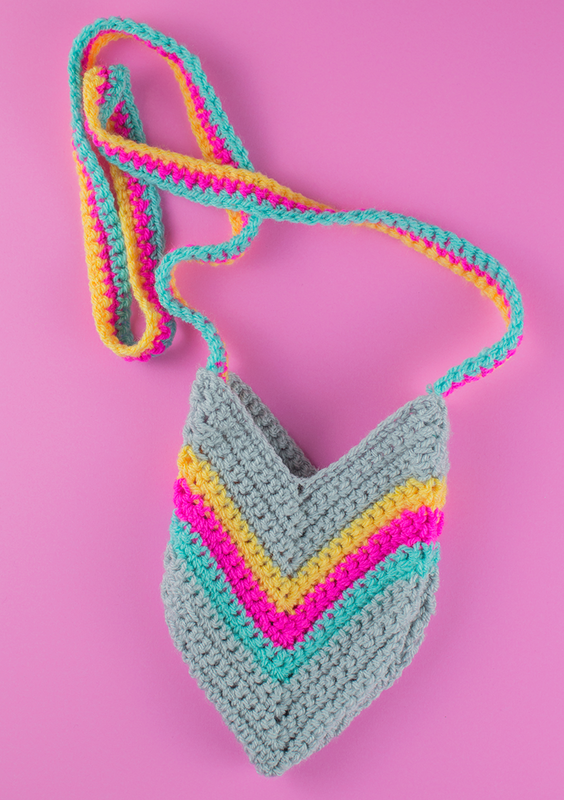 I decided to make a bag with the chevron piece that it created so after following the video I made two single 25 stitch pieces then sewed them together with the right sides facing each other before turning it inside out. Then to make the strap I chain stitched a piece to the length I wanted it then worked a double stitch into each chain space. I did one row in each colour then turned the bag inside out again to sew it on. Again I used a large plastic needle.